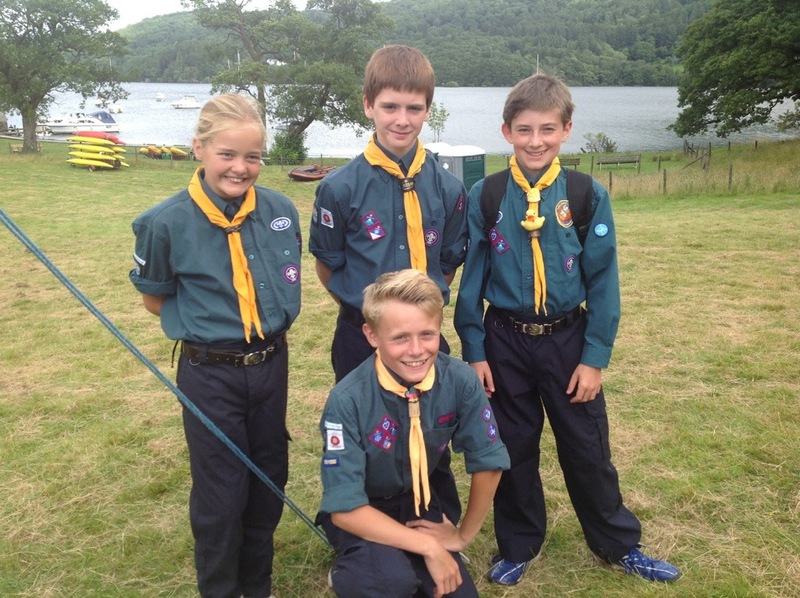 The Summer Camp Pictures have finally arrived! 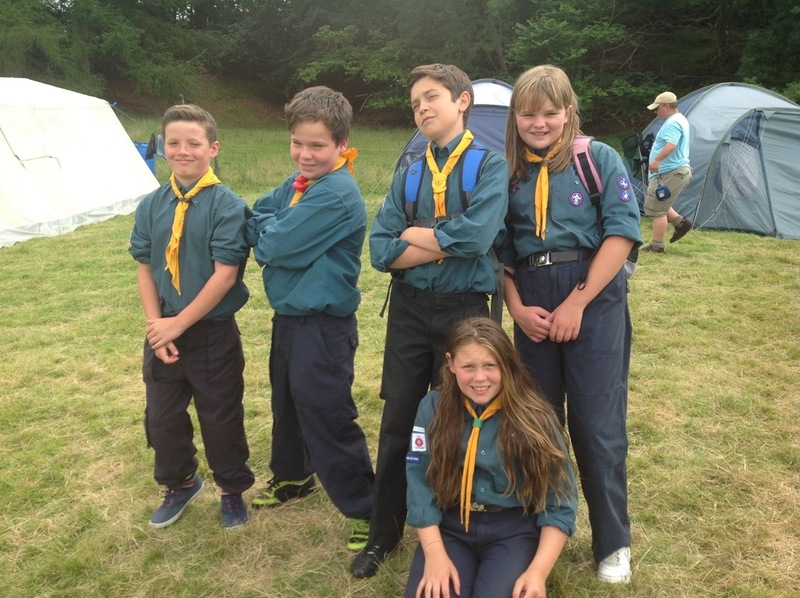 Please leave us a comment of what you make of our camp on our ‘recent’ page, and we will read them out around the campfire! We finally got here! After all this time! We have spent most the day getting the camp ready for the week, but we snuck in a little swim to cool us all down! Luckily the rain has stayed off until now, and it’s been really hot! 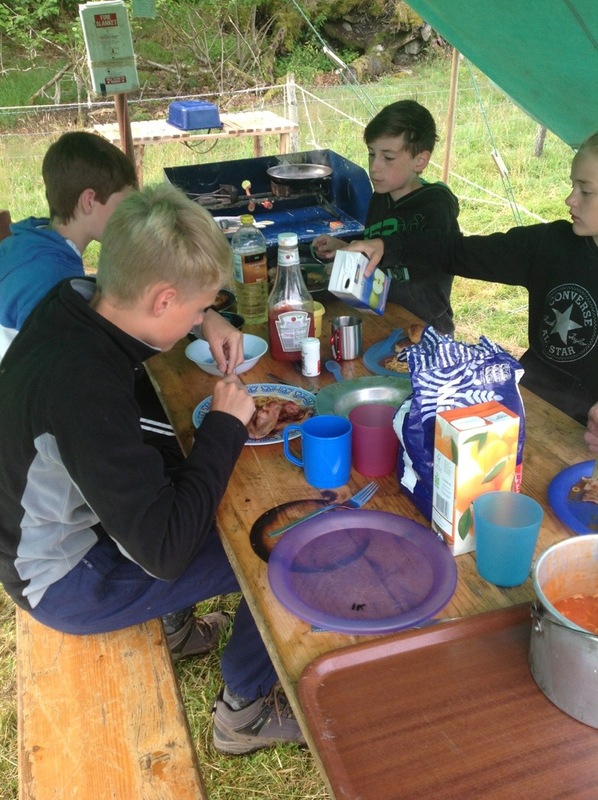 Everyone’s doing well, some nice chicken burgers, new potatoes and peas for tea, with cake, angel delight and fruit for pudding! 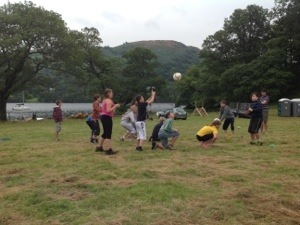 Played a few games and now off out playing a wide game in the field before a fire and bed! Cant wait for parents day! 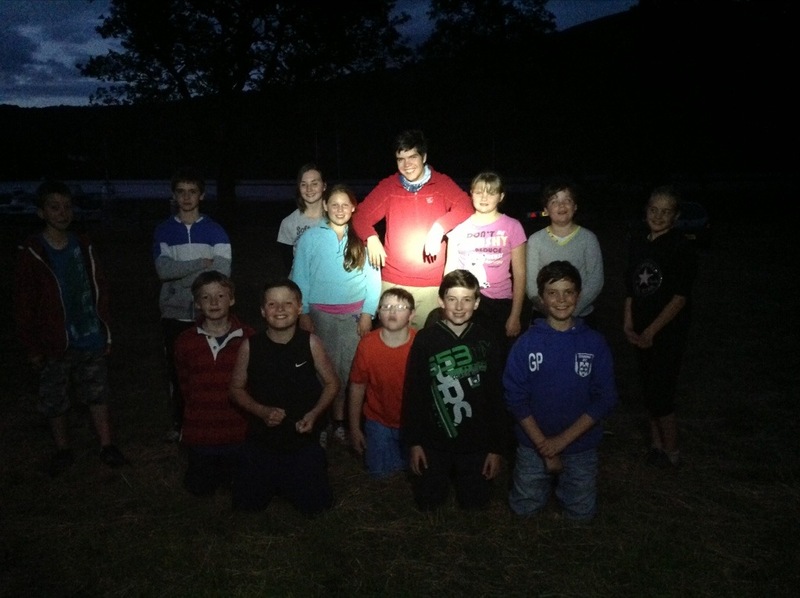 A great start to summer camp 2013!!! Sunday After a very very wet night, Today was our parents day, so most people will have an idea of what we have been up to! 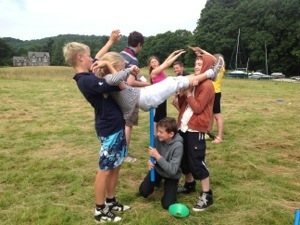 The highlights include sailing, canoeing, bungee run, volleyball tournament, swimming and archery to name a few! 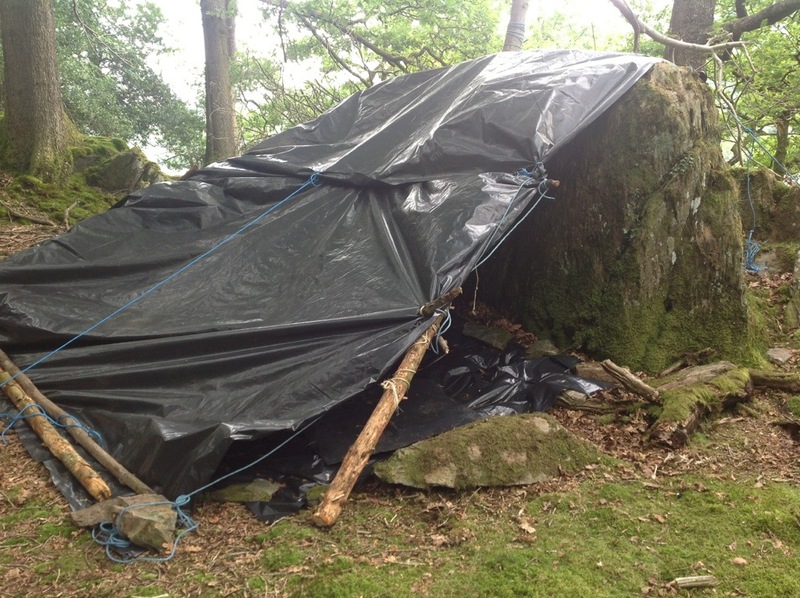 Luckily it started to dry up by the time the parents arrived, and even a little bit of – dare I say it? – sun came out! After tea we had a walk up Gummers How – the hill opposite the campsite. Another great day! Hi! 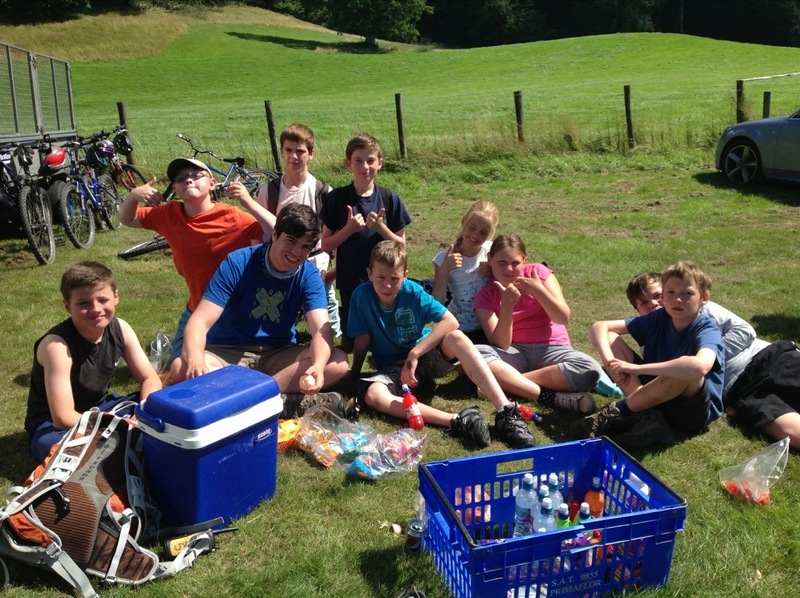 Currently eating a picnic in the sun at grizedale forest, doing some orienteering, biking and go ape! Sorry for not updating yesterday, very busy, but watch out for a double post tonight! 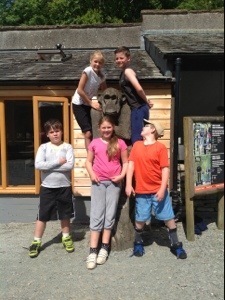 Great day today, with a lot of fun and laughter – mainly at the people on go ape! 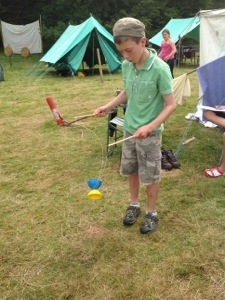 The weather has been alright today, not too hot which has been better for all the activities we have been doing. 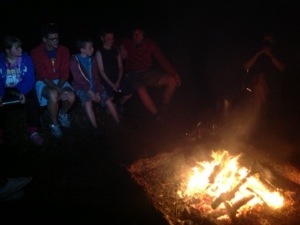 Just about to have another campfire and an early night, as the 7am starts and full days of activities are very tiring! Today most of us were offsite all day, taking a packed lunch, as seen before! After a jam packed day, spag Bol was well received this evening for tea! 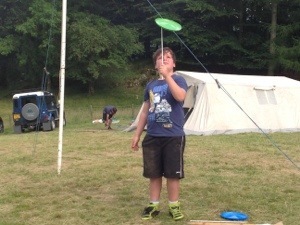 Yesterday we undertook in a range of activities, including sailing and geo-caching with Geoff, kayaking with Ben, Emma and Christian, archery with Gary, orienteering and biking with Neil and Steve, all in rotated activity groups, so everyone could have a go! 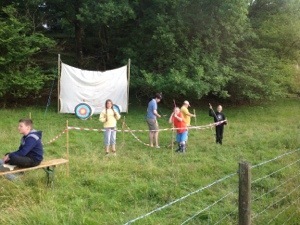 A wonderful time was had by all – even by a certain PL who wandered just a LITTLE bit off course!! A very very wet day today! But that didnt stop us! 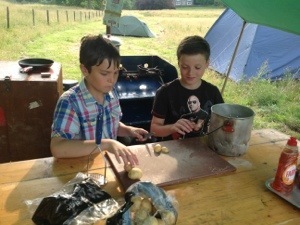 With a independent hike this morning (in which the wandering patrol leader mentioned yesterday MORE than redeemed herself) and then building camp ovens this afternoon to cook our tea of fajitas, baked potatoes and chocolate bananas. 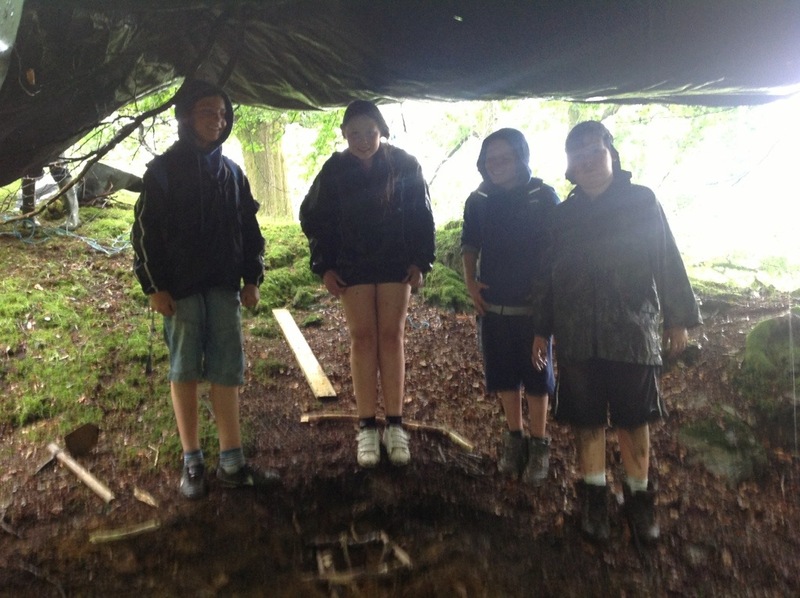 Everyone is a little wet, but our spirits are still high! Having a spa night this evening, washing of feet and faces after a muddy afternoon. 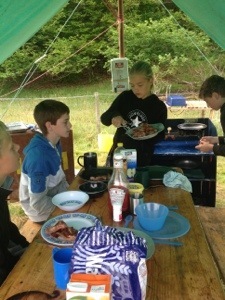 An early night again I think to fill us full of energy for another full day of activities tommorow. 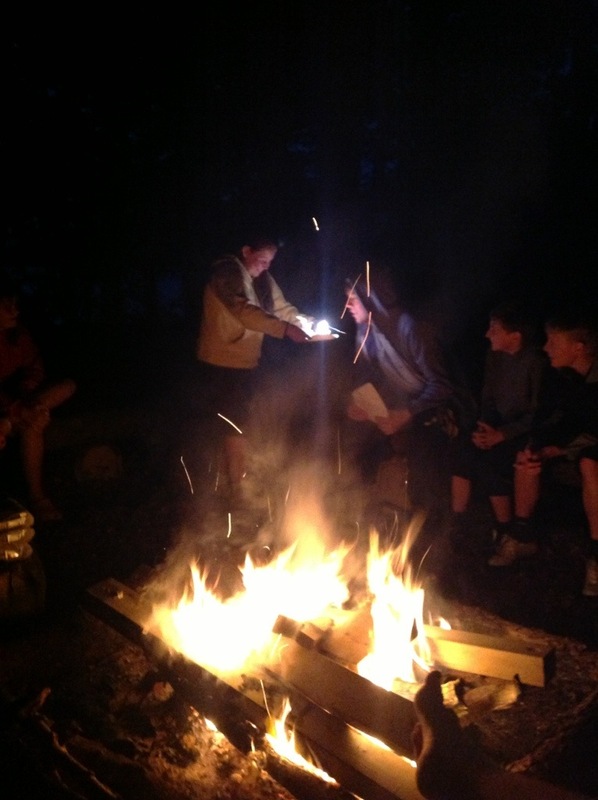 Please remember if anyone would like to leave a comment to be read out at the nightly campfire please leave a comment on the ‘recent’ page! Sun sun sun! Just what was needed! 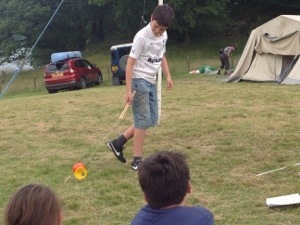 A lovely day today, with all the camp making bivis in the woods next to the campsite the morning ( an outside sleeping compartment made just using some waterproof tarpaulin, bits of trees and rope), and then a games afternoon this afternoon which was made up of various individual and team challenges, including circus skills, ‘piggy’ and brain teasers. Finished off by a dip in the lake and a good wash! 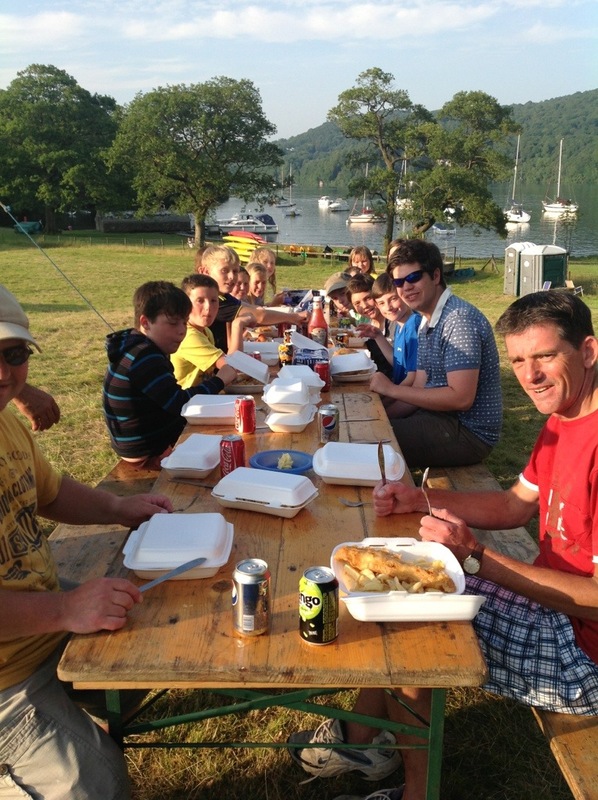 A chippy tea for a final camp feast in front of the incredible view, and a wide game to top it all off! Once again a very busy day! 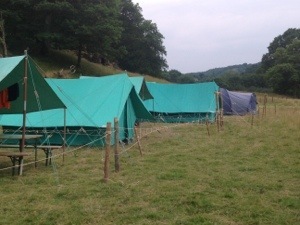 The scouts are now in bed in their bivis, of which only time will tell if they are wet in the morning and their hard work has paid off! 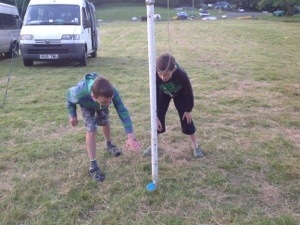 Pictures of them will follow tomorrow if they are still standing! Well, all of them survived! 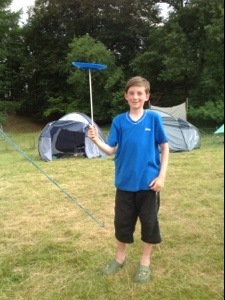 The Bivis held up well! 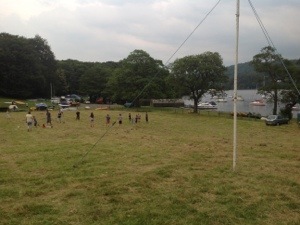 Now for packing up and a afternoon out in Bowness before a last minute splash and campfire. 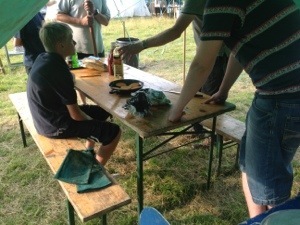 It was Bobs birthday today so some of the scouts got him a cake. 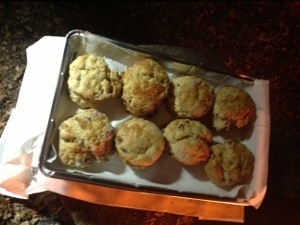 The highlight of the day was definitely receiving 24 home made fresh scones from the couple we helped out yesterday! 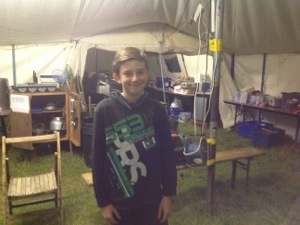 Home tomorrow, ready for a shower and bed! 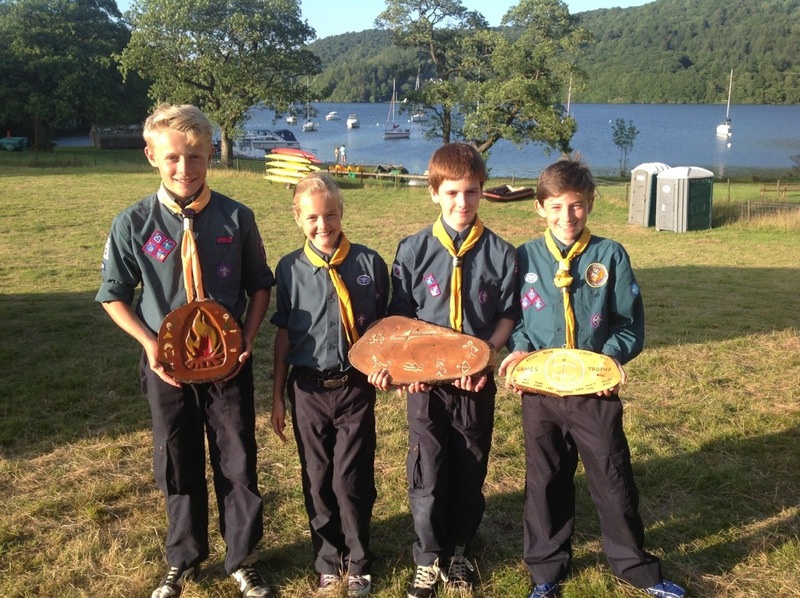 Hope the Summer Camp diary has helped reassure you the scouts have all had a wonderful time! 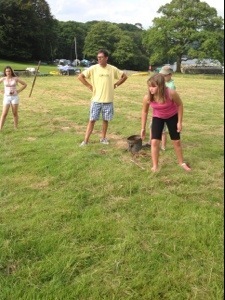 Thankyou for making this such an enjoyable Summer Camp. See you next year! 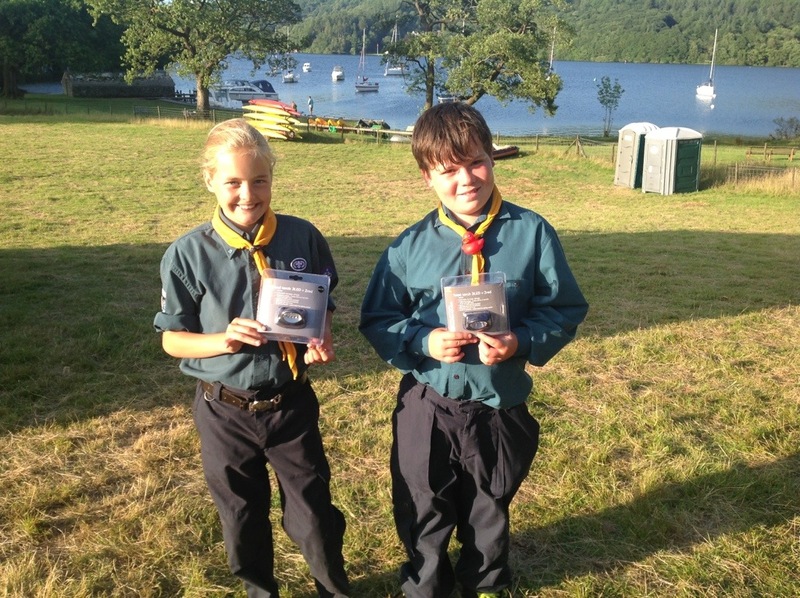 Chosen by the Patrol Leaders and Leaders, two scouts were chosen to receive a brand new headtorch as they were seen to go above and beyond, and do that little bit extra on camp this year. 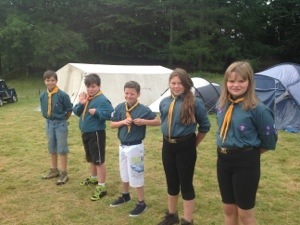 These are some of our younger scouts who have not camped with us much before, and we hope their new kit will help them in all their future scouting adventures! 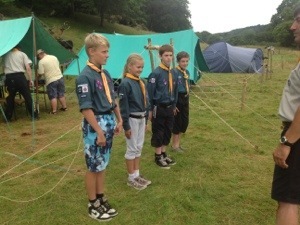 Thankyou for all your comments, the Scouts loved hearing them!